Sports technology has come a long way since basketball players first donned high top converse and footballs were anything but synthetic. And while we’re all infatuated with the players on the courts and fields, we rarely take into consideration all of the advancements in shoes, balls, gear, turfs, refereeing and other elements which allow our favorite athletes to ascend to the upper echelon of their game. 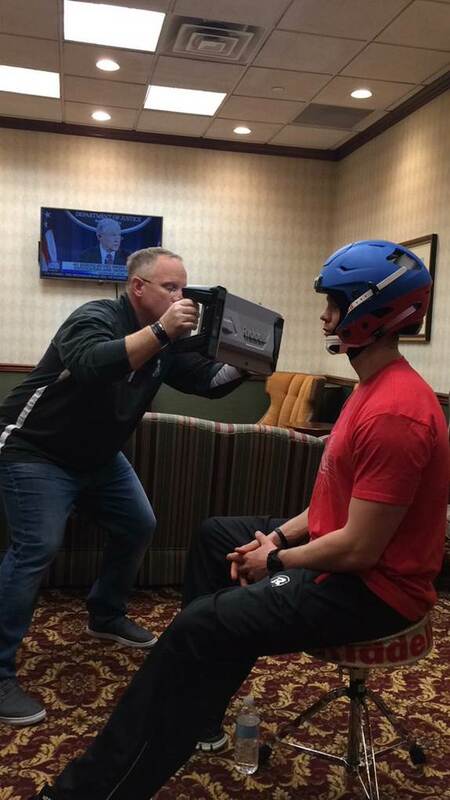 Consider the football helmet—perhaps the most critical protection piece for NFL players. From 2015 to 2016, rates of concussions were down only modestly, to 244 total concussions last year. How can we circumvent these regularly occurring injuries in such a contact-heavy sport? What’s missing in previous helmet editions that could bolster a decrease in these alarming concussion figures? In response to these questions, pioneering football sports tech firm Riddell has recently debuted its latest helmet technology dubbed Precision Fit, a process for creating bespoke helmets via state-of-the-art 3D-scanning techniques. By building a custom-fitted helmet liner system that match the varying sizes, shapes and asymmetries of individual players, the hope is to reduce the concussion rate among top athletes. PSFK got a chance to sit down with Riddell’s senior vice president, research & product development Thad Ide to discuss how this new technology is set to transform safety in the NFL and NCAA divisions. “The technique to creating precision fit lends itself to a whole team. It takes less than five minutes to create a full head scan. You can go to a pro team and take a morning and six weeks later their helmets are all delivered,” expresses Ide in regards to the question of scalability. The interior lining system is a cast made of polyurethane materials, which makes the padding line up perfectly with the mold of the helmet. From the outside, the shell is as tough as ever, making for a durable yet pocket-like fitting headgear. While Riddell’s team works with players to customize a fit that feels right for them, the company refuses to compromise on certain protective parameters, chiefly the minimum certified surface which refers to the optimized thickness (or thinness) of the interior padding. 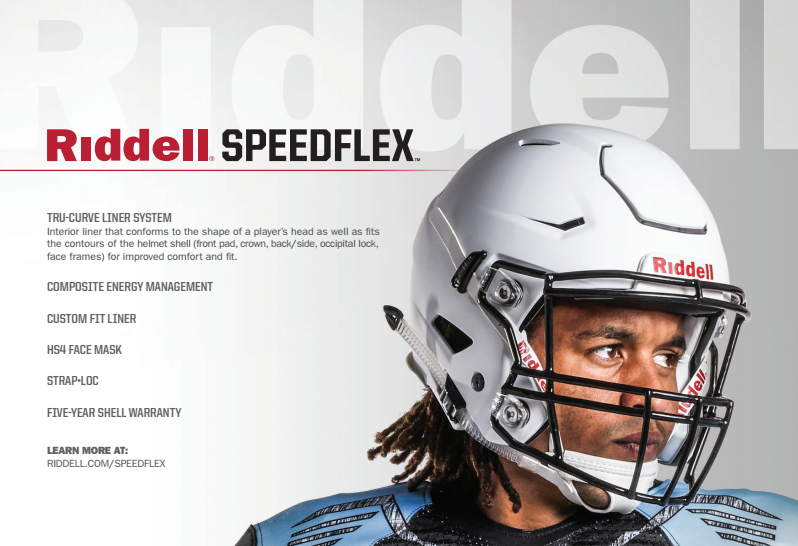 As a company looking to optimize player performance and protection, Riddell is setting its sights not only on new ways of fortifying heads but on advancing the sport as a whole. With a rich history of curious tinkering within the football sphere of influence, dating back to 1922 when the founder John T. Riddell created the world’s first removable cleat, the firm’s innovation roadmap for 2017 is quite advanced with respect to how other sports companies are tackling their technological progression. “To understand the company’s creative DNA, you have to go back to Riddell’s investment in research (SRS – a monitoring system of every significant incidence of head impact across entire leagues). This underlying research has fundamentally informed every headwear design in the past, and has allowed futurists to bring more security to the game we all love,” says Ide. Currently being rolled out over the course of this year in a limited release, a select quantity of teams will be able to don the latest edition Precision Fit depending on their level of investment. With Speedflex, the company’s hot new varsity and NFL football helmet—what Ide describes as the ‘most successful helmet launch he’s ever gotten to experience during his career—the company is poised to further saturate fields everywhere with its impressive and ever-secure line of helmets. As one of the most underrepresented yet more critical components of the game, Riddell’s ingenuity in the space helps empower your favorite athletes to perform better and play longer.